We supply an extensive range of encaustic cement tiles and Moroccan tiles, incorporating various patterns, colours and themes. Whether you’re looking to improve the appearance of your home or the office, our encaustic cement tiles are perfect for making your property more sophisticated. Our cement tiles come with 8mm of colour layer and smooth finish. We grind the surface of our cement floor tiles thus they do not absorb the stains and the dirt. Browse to see our more than 400 patterns from Moroccan to very Modern Geometric designs handmade encaustic cement tiles. Feel free to change and redesign your favourite cement tiles. These perfect white blooms on the deep black background make a stunning geometric pattern and a bold statement. These handmade encaustic tiles are ideal for use in a wide variety of settings and their classic bi-colour design makes them easy to combine with any number of decors and furnishing colours. Delight in walking on a floor strewn with blooms with our unique and lovely cement tiles. Istanblue is one of the most trendy and demanded navy blue tile of our product range. Its unique navy blue colour inspired by the sea colour of Bosphorus in autumn and reflects the spirit of Istanbul. The main figure of this beautiful tile is the flower-de-luce (fleur-de-lis). A stylised lily flower which is also the historical symbol of Kingdom of France. Istanblue tile with its classic and elegant style is a timeless modern-classic. Alyana means one of the most beautiful girls you will ever meet. When you look at her your heart drops into your stomach and when you touch her, your heart just stops. Alyana Grey cement tile is the single colour version of Alyana. It is creamy and brown toned cement tile. It is a classical beauty and you can easily combine this tile any room of your residential or commercial property. Alyana Grey can be the best cement tile for cafe and restaurants. Each one of these striking handmade encaustic cement floor tiles bears a large stylised leaf shape in white against a rich black background. Lay them to form a large impressive white flower to make an impact over large expanses of floor or wall. These lovingly crafted cement tiles are made using natural pigments to give gentle, yet profound colours which will keep looking great for many years to come. New Orleans is well known for its distinct French and Spanish Creole architecture, as well as its cross-cultural and multilingual heritage. With our New Orleans pattern we bring together French and Spanish art with American Vintage street design. These perfect white petals on the deep black background make a stunning geometric pattern and a bold statement. These handmade encaustic tiles are ideal for use in a wide variety of settings and their classic bi-colour design makes them easy to combine with any number of decors and furnishing colours. Delight in walking on a floor strewn with petals with our unique and lovely cement tiles. The ordered repetition of these eight-petaled black outlined flowers, with grey eight-pointed star centres on a white background, evokes a feeling of peace and clarity. The flowers are interspaced with elaborately ornate crosses in a soothing and restful regularity. No need to consider which way these exquisite handmade Turkish tiles should be laid, they will create this peaceful eternity unaided. Marrakesh, the exotic city in the west of the Kingdom of Morocco, houses many palaces, mosques, and doorways decorated with traditional hand-crafted tiles like these. The customary colours of grey, blues and white have a clean freshness that contrast with the desert heat, and these individually handcrafted cement tiles can bring a breath of fresh air into any area of your home. 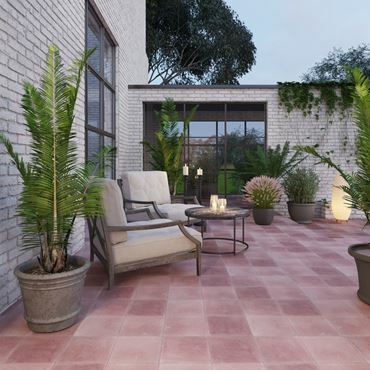 The unusual shade of green of these hand-crafted cement tiles makes them ideal for use in both indoor or outdoor spaces. The small design has a spectacular effect over a large area for an intense and impressive expanse of complex geometrical designs Green is the colour of life and this design of encaustic tile will bring peace and creativity into your home. The Medusa of Greek mythology was a winged woman with hair of seething venomous snakes. Those who looked at her were turned to stone. Those who gaze at our Medusa cement tiles won’t suffer the same fate, but they may well be stunned by the rich warm natural colours and the crisp geometric design of these exquisite handcrafted encaustic tiles. Istanbul is a fascinating mix of east and west, full of vibrant colours, exotic smells and thousands of years of history. Recreate the splendour and opulence of the Topkapi Palace or one of the other architectural masterpieces of the ‘Jewel of the Bosporus’ in your own home with these incredibly detailed multicolour cement tile masterpieces. The handmade production process of these encaustic tiles has remained unchanged for years. These night stars can bring illumination into your home. The small detailed design of these handmade encaustic tiles will let you fill a space with thousands of soft grey stars set on bright white stripes, against the profound blue background. This design of cement tile is ideal for a smaller space which will expand like the heavens with this inspirational design. These beautiful handmade encaustic cement floor tiles have a simple leaf shape in beige on a white background. This clean, precise design works perfectly on walls or floors and the warm, natural, neutral, colours will blend perfectly with different colours of furnishings and fixtures. These encaustic tiles have a pleasing symmetry and the gentle flowing shapes are pleasing to the eye. These Turkish handmade encaustic cement tiles have a wide diagonal stripe in coal black across a clean white background. The small moss green triangles at each end of the stripe unite to form a green square which separates the eight-sided stars with alternating points in moss and coal. These calming colours and regular designs of these handmade encaustic cement tiles can bring peace and order into your home. Octagon comes from a Greek word meaning eight sides, and the bright symmetrical flower on our handmade encaustic cement floor tiles have eight deep blue petals which form an eight-pointed white star which encloses an eight-sided red centre. Each of these encaustic tiles is completed with two shades of paler blue and a touch of pale pink in the corners to create a clean bright design suitable for many different spaces. Four of our handmade encaustic cement floor tiles unite to form a pleasing symmetrical flower with delicately decorated petals and trifold leaves in a muted red colour. The gentle sapphire coloured circles and lines of this classic tile which are set between two concentric circles in rosewood, let us imagine the infinite boundaries of the earth and sky and the entire miracle of life in between. The Etruscan culture which flourished in central Italy from the 8th to the 2nd century BC was famous for their fabulous artwork. These exquisite handmade encaustic cement tiles pay homage to them, with their rich colours and highly detailed designs, and just like the Etruscan wall frescoes, these encaustic tiles are made entirely by hand following age-old traditions. Our Harem handmade encaustic cement tiles are a tribute to the peace, cleanliness, and beauty of women. Traditionally, men were not permitted to enter the harem where the women lived, but now they will be allowed to enter into that mystical place. The white background and small delicate design make these handmade decorative tiles ideal to bring light, life, and female beauty into smaller spaces. These handmade encaustic tiles are perfect for steps. They have the same rounded leaves and stems in Burgundy on a white background like the Old Istanbul design. However, these Turkish tiles have the burgundy border and the celestial line on two opposite sides, so they can be lined up for a continuing frieze. Or, use them as a decorative border around red, red, wine. In Constantinople, modern-day Istanbul, during the early 18th century, tulips were hugely popular. This lovely flower found its way into much of the Ottoman art during the Tulip Period, as it became known, and these exquisite handmade encaustic cement tiles are a representation of those traditional designs. The flowing forms, rich colours, and fine handcrafted details of these cement tiles will bring the opulence of an Ottoman Place into your home. You can bring the warm shades of Autumn morning into your home with these handmade encaustic cement tiles. Each tile has a soft beige background and a large stylised leaf in a gentle rusty shade which is easy to combine with your colour scheme. Lay these cement tiles so the leaves form long lines or unite them to create a lovely circle and star pattern, ideal for larger spaces. The herb Vervain is used for cleaning stagnant energy, and these handmade encaustic cement tiles have a bright, clean feel that will re-energise your home. They have a white background with a grey criss-cross design with a stylised turquoise flower where the crosses meet. These elegant encaustic tiles have a pleasing, calming aspect which will enhance the beauty and peace in your abode.